On July 28, supporters of Fanmi Lavalas (FL) demonstrated in front of the U.S. Embassy in Haiti to demand the U.S. Government to not fund the November 28 Presidential and Legislative Elections "We come here today to question the behavior of the U.S. government. 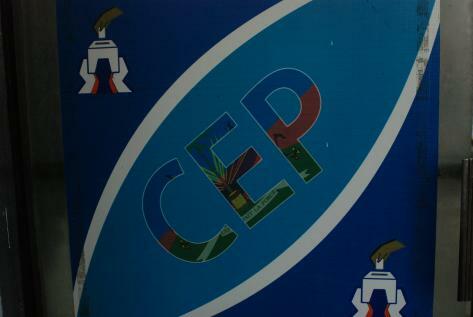 We're asking if they will continue to finance the exclusion of Lavalas by the CEP,” said Lionel Etienne, a former Fanmi Lavalas congressman. Dan Beeton from Center for Economic and Policy Research or CEPR, a Washington-based organization, questioned the United States’ willingness to fund November 28 Elections, which he has foreseen as flawed elections. In a publicized statement, Beeton asked, "Why is the U.S. funding these elections when they are so clearly deeply flawed?" The renewal mission will cost the country $380 million. A Port-Au-Prince-based human rights organization, Bureau des Avocats Internationaux or BAI through a statement, pronounced on the renewal of UN mission and its budget. “Money is wasted on the mission, and protesters want real assistance, not the renewal of ... an occupying military force," said members of the BAI.